File synchronization feature relies on the Remote Differential Compression algorithm built-in in Windows. You need to enable it to ensure proper work of RavenFS. Open Add Roles and Features wizard. 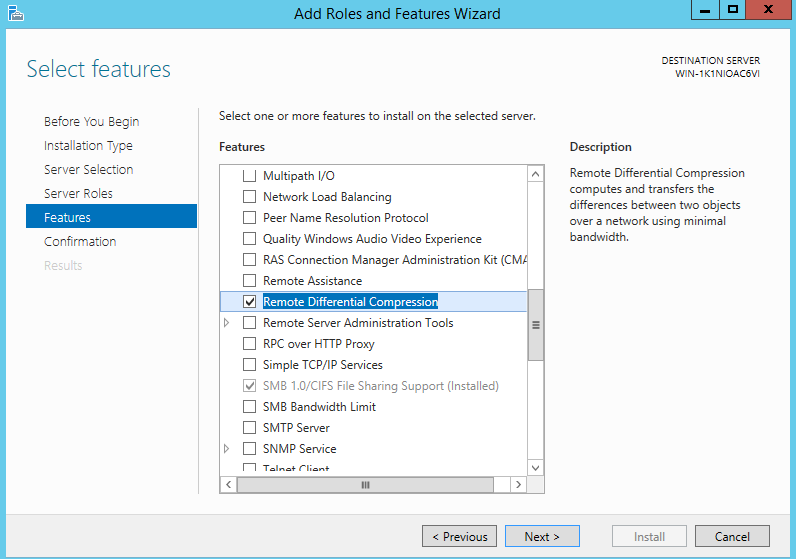 Select Remote Differential Compression feature and install it. Go to Programs and Features and click on Turn Windows features on or off option. 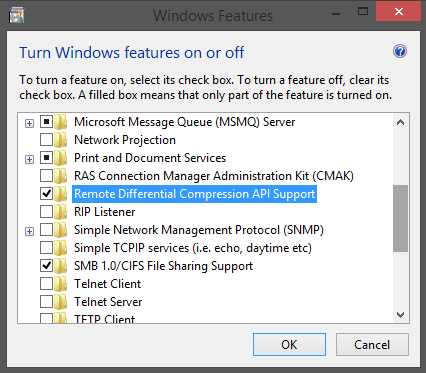 Check Remote Differential Compression API Support and click OK.